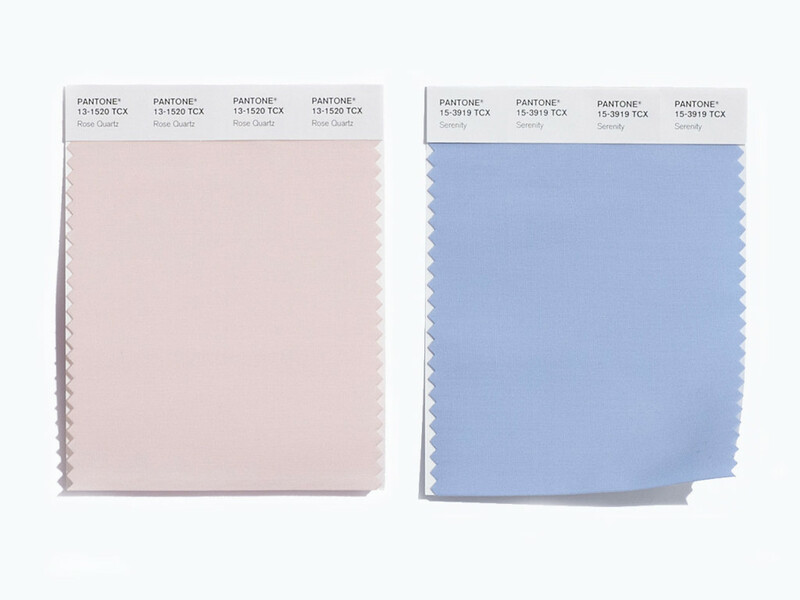 For the first time ever, Pantone chose a blending of two shades, Rose Quartz and Serenity as the PANTONE Color of the Year. Why did they do this? I can think of two reasons. One is to be provocative, the other is to convey harmony and balance. In these times of uncertainty, with the daily stresses we all experience, the colors evoke a soothing quality. While contrasting, they are not harsh. The light muted shades are soft and compliment each very well. They represent balance. The expression of gender equality has been mentioned and we can see how these two colors represent the perception of male and female. It can be said that it is a symbolic selection as well as an expression of mood or harmony. Rose Quartz is a soft tone that conveys warmth and kindness. Serenity is heavenly, like the sky, and lends feelings of security, calm and relaxation. I thought I would see if I had anything around in these two shades. The funny thing is, I couldn’t find a thing. They remind me of the colors you find in baby’s blankets and pajamas for the little ones, but that’s just me. I favor Serenity, but can we split them apart? Must they be paired to be considered “the color”? It interesting that they chose a duo and it’s a pretty combination so I like the choice. I was definitely not a fan of Marsala, so for me it’s a thumbs up!